1. Select a version of TurboTax that fits your situation and click Buy Now. 2. Select your platform: PC/Windows or Mac; alternatively you can order a CD. 3. Next step is to review your cart and proceed to checkout. 4. 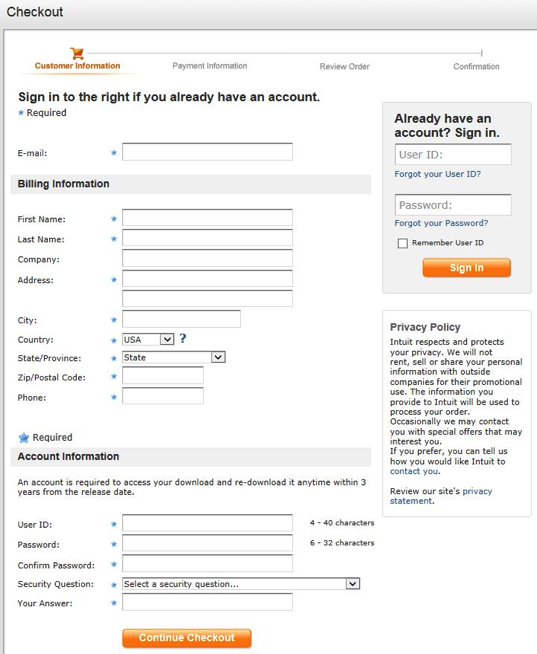 This is the part that will take most of your time as you have to provide billing information and set up your account details (assuming this is the first time you’re purchasing a TurboTax product); continue to Checkout to complete your purchase. 5. 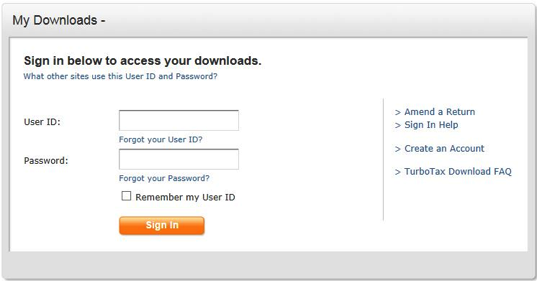 Once the purchase is complete, you can access a link to download and install your version of TurboTax directly from Intuit’s website and select Access my downloads. 7. Click on the name of the product you ordered to start download and indicate where the file should be saved. Pick a location on your computer that’s easy to remember. 8. Go back to the location of the downloaded file on your computer, click on the TurboTax icon and begin the installation process.